Amazon’s Seller Fulfilled Prime program gives sellers the advantages of the Prime badge without having to use FBA. So what’s the catch? Amazon Prime has changed the face of online shopping since its debut in 2005. 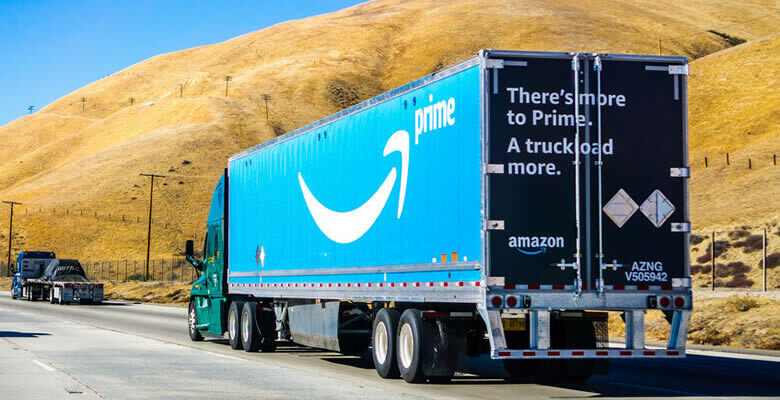 Prime made it possible for consumers to get unlimited orders delivered to their doors within two days, for a flat annual price. It didn’t take long for shoppers to learn that when they see the Prime badge on an item, they will get fast, free and reliable delivery. As a result, products which qualify for Prime get a lot more attention and sales from the 100+ million Amazon Prime subscribers in the U.S. Sellers want a piece of this action too, but at first they could only qualify for Prime by putting their inventory into the Fulfillment by Amazon (FBA) program. FBA works well but can be expensive and isn’t a good option for all items. This changed when Amazon released Seller Fulfilled Prime (SFP). With SFP, businesses running their own shipping operation can get the Prime badge on their products without using FBA. For some businesses, SFP completely changes the Amazon game for them. Here’s everything you need to know about Amazon Seller Fulfilled Prime. What is Seller Fulfilled Prime? Seller Fulfilled Prime is a program that allows qualified sellers to get the Prime badge on their products, and deliver directly to Prime subscribers using their own shipping operation. As part of the program, sellers must commit to deliver orders within two days, at no extra cost to the buyer, while using Amazon-approved shipping companies and adhering to Amazon’s high performance levels. If you do your own shipping and you can prove to Amazon that you meet their standards, you can qualify to be part of the SFP program. This gets you the Prime badge on your products and the benefits that come with it, including improved visibility in search and a better chance of winning the Buy Box. What kind of businesses is Seller Fulfilled Prime for? There are many different ecommerce business models out there from conventional retailing and private labeling to big brands selling direct, retail arbitrage, reselling clearance products and trading in used items. While all these models can benefit from the features of SFP, it’s usually the retailers who have the most to gain. Retailers might stock thousands of product lines, which means they are likely to be in hot competition with countless other businesses. Having the Prime badge on their products can help them leapfrog their competitors and win the Buy Box, making a huge difference to sales. Retailers often sell through other marketplaces and their own websites, and are likely to have warehouses and shipping operations up and running. They have a lot to gain from qualifying for Prime, but some good reasons for staying away from FBA. That’s not to say that other types of sellers won’t reap rewards from SFP. It can also benefit brand owners who are already doing their own shipping to consumers, and even new brands who have built up their businesses using Amazon alone, but who now want to be multichannel sellers. Businesses who fulfill their own orders are often reluctant to join the FBA program and effectively double-up on their warehousing and shipping operations. If you’ve put all the investment and work into shipping effectively, it’s a step back to outsource fulfillment just for Amazon orders. Seller Fulfilled Prime gives these businesses the best of both worlds: they can keep their existing shipping processes, warehouses, and systems in place while still getting the big sales boost of the Prime badge. Why did Amazon introduce Seller Fulfilled Prime? Amazon has made a huge investment in land, buildings, people and technology to power their fulfillment centers. But it still doesn’t have enough capacity to meet customer demand, which has been growing even faster than Amazon’s building program. The answer is simple: get other businesses to sell and ship products to Amazon’s customers. Third-party sellers are now responsible for 58% of gross sales on Amazon. But how could Amazon get those sellers to provide a consistently excellent service to customers, without using their own constrained FBA capacity? The answer is Seller Fulfilled Prime. When SFP launched in beta in 2015, then opened up to all sellers in 2016, the objective was clear: if other businesses can prove that their fulfillment quality is as good as Amazon’s, then they should be allowed to qualify for Prime and ship direct. How can I tell if a product is FBA or Seller Fulfilled Prime? To the typical Amazon Prime subscriber, it’s not obvious why a particular product has the Prime badge. But shoppers have little reason to care, because they have learned what Prime means and that they can always expect the same level of service. On the product detail page, you can tell why a particular product has the Prime badge – if you know what to look for. All the Buy Box examples below include the Prime badge, but for different reasons. Highlighting has been added. The product on the left says “Ships from and sold by Amazon”. This qualifies for the Prime badge because Amazon is the seller. In the middle is a product “Sold by echome-uk and Fulfilled by Amazon”. This is a third-party seller but it qualifies for Prime because they are using FBA. The product on the right says “Ships from and sold by E.U. Xtores”. This is a third-party seller, and they are shipping the product themselves, but it qualifies for Prime as part of the SFP program. What is the impact of Seller Fulfilled Prime on buyers and sellers? SFP doesn’t fundamentally change the Amazon shopping experience, but it does bring more products to the attention of Prime subscribers. Shoppers who subscribe to Prime have a strong preference for products with the Prime badge, and might click the checkbox to filter results to Prime only, or simply look for the Prime badge in the results to mentally filter the items. It could even be a subconscious filter, where the shopper is not specifically looking for Prime products, but seeing the badge still triggers the association with fast gratification. Even when casually browsing Amazon, products without the Prime badge can look second-rate when surrounded by Prime listings. When the shopper finds a product they like, they make a purchase in the usual way and then it gets passed over to the seller. This is where Amazon’s SFP requirements start to kick in. On the whole, the SFP process is not all that different for sellers who are used to doing their own shipping, but it has an added layer of requirements. Amazon retains tight control of the process by making sellers buy shipping through them. If all goes well, the order is shipped and the customer receives their product on time. If the order is late or damaged, or something else happens that warrants a complaint, it is handled by Amazon rather than the seller. This is different to a seller who does their own shipping but isn’t in the SFP program, as they would handle all customer service messages themselves. What is the difference between Seller Fulfilled Prime and FBA? The key difference between Seller Fulfilled Prime and FBA is shipping. Both can get you the Prime badge and an advantage in winning the Buy Box, but it’s down to the sellers in the SFP program to fulfill orders and pay for shipping. One of the main downsides of SFP is that sellers must absorb the costs of shipping so that customers can get their goods delivered quickly at no additional cost (free shipping is what Prime is all about). For FBA sellers, shipping is handled by Amazon. But there are fees to pay, and they can get complex. FBA fees might end up being more or less than it would cost to ship orders yourself. For large, heavy, odd-sized or slow-selling items, FBA can be particularly expensive. But investing in and maintaining your own warehouse, staff, software, and systems can be expensive as well. What is the difference between SFP and Premium Shipping? Seller Fulfilled Prime and Premium Shipping are often talked about together, but Premium Shipping is a different program entirely. It essentially allows sellers who do their own shipping to provide faster shipping options to their customers. Once they’ve qualified, sellers can offer Premium Shipping options to customers at an additional cost. In the U.S., these shipping options include One-Day Delivery, and Two-Day Shipping. To stay eligible, sellers must maintain the requirements above on their Premium Shipping orders, but the valid tracking rate (proportion of orders with a tracking number) should be 100%. Premium Shipping and Seller Fulfilled Prime shouldn’t really be compared to one another. Premium Shipping allows you to provide fast shipping options to buyers, whereas SFP is a way of getting the Prime badge on your products without using FBA. What are the requirements to qualify for Seller Fulfilled Prime? SFP isn’t open to just any seller. Only the best sellers can qualify and, even then, they have to qualify for Premium Shipping and pass an SFP trial period. During the trial, the Prime badge isn’t displayed on their items, and sellers must ship SFP-enrolled products the same day (subject to a cut-off time). If the seller successfully completes the trial period they get to join the SFP program and, at this point, the Prime badge will be shown on their products. Sellers must show that they can consistently provide Premium Shipping services, as described above. They don’t have to do this before they start the SFP trial, but will not be able to go live in SFP until they are also eligible for Premium Shipping. Sellers can enroll for SFP from within Seller Central. They will then need to assign products to the “Prime trial” shipping template. Only products assigned to this template will be including when assessing performance against the trial requirements. The trial period lasts between 5 and 90 days, and a minimum of 200 orders. Sellers must maintain the performance percentages above during the trial period. Once the seller has passed the trial period, they need to keep on top of the requirements and continue to provide a consistent service to customers. Should I use Seller Fulfilled Prime or FBA? Deciding whether to use SFP or FBA isn’t as simple as choosing the cheapest option. There are a number of factors to consider and balance off against each other. Here are the main ones. The first thing to consider is whether you already have your own warehouse and shipping operation. If you don’t, or you haven’t sold anything at all yet, then diving headfirst into shipping goods yourself while also trying to meet the strict criteria is only going to end badly. If you’re just starting out, signing up for FBA is a no-brainer. Only after you’re making a good level of sales and have learned the ropes should you start thinking about carrying out your own shipping. Retailers who have thousands of products know that not everything sells at the same speed. Some goods sell like hot cakes, while others get picked up once in a blue moon. Because of FBA’s storage costs (including long-term storage and the Q4 rate hike) slow-moving products can work out to be very expensive. You might still want to offer those products, because they sell well elsewhere or your supplier insists you carry them, for example, but putting them into FBA could be a loss-making option. Seller Fulfilled Prime is also a sound option if you specifically trade in higher-priced products that you want to keep an eye on, or that need to be handled in a certain way. Bulky products or goods that might be more vulnerable to loss or breakage are examples of this. In these instances, you might decide to ship the products yourself and enrol in SFP, so you can reap the benefits of the Prime badge without the downsides that might come from having those products in FBA. Where your products are stored is an important factor in determining liability for U.S. sales tax. With FBA, Amazon is responsible for storing and shipping your products, which means you’re at their mercy for where they choose to hold your goods. As a result, you could be liable for paying sales tax in many different states. This could be an administrative headache for some sellers. Note that the introduction of economic nexus in some states also affects this decision, as it creates a liability for sales tax regardless of where inventory is located. As I mentioned earlier, selling via FBA incurs fees which may or may not outweigh the cost of doing your own shipping under the SFP program. For businesses with a wide range of products, with different sizes, weights and sales velocities, finding the most economic option is not going to be an easy calculation. Many sellers will instead go with an all-or-nothing approach which has the advantage of simplicity but is potentially expensive. Others will develop simple rules, using the average sales per month and approximate product dimensions and weights, to decide whether to put a product into FBA or SFP. Also consider using your own ordinary shipping, with the buyer paying the cost, if the increased sales that should come with the Prime badge won’t make up for the lower profit margin of FBA or SFP. If you’re only selling on Amazon then FBA makes a lot of sense; it’s fully connected with the Amazon marketplace, you don’t have to worry about shipping, and Amazon takes care of customer service. If you’re only selling this way, this should be the default choice. On the other hand, if you’re selling through multiple channels, like your website, eBay, other marketplaces, or a physical store, it’s a different picture. You could use FBA for that as well, but you’ll get stung with higher fees for doing what’s known as multichannel fulfillment (MCF). If you’ve got your own warehouse already or use a third-party fulfillment service (3PL), adding FBA into the mix will make it more difficult to manage your inventory. Just keeping track of how much stock you have, reordering at the right time, and getting your products to the right warehouse becomes a big headache pretty quickly. There are certain types of products that Amazon will not store in their own warehouses, but you can still get the Prime badge on them if you store and ship them yourself. We’re talking about things like oils and fluids, insect repellent, and power banks here – nothing too sinister. Of course, if you choose to sell goods like this through SFP, you’ll need to make sure your warehouse meets regulations and that the companies you use for shipping can handle these products. Choosing whether to go with FBA or SFP doesn’t have to be an all-or-nothing decision. You can pick and choose as you wish: qualifying for SFP doesn’t mean you can’t use FBA. In fact, you can use both. You could choose to put fast-moving products under FBA and slower-moving goods through SFP, for example, to avoid long-term storage costs. You also can use your own “standard” shipping alongside SFP. Those products won’t get the Prime badge, but you’ll have the flexibility to set your own shipping fees and delivery speed. This might work for heavy or large items that are expensive to ship using the permitted options for SFP, but economical using a slower delivery service. What is “Buy Shipping” and how do I access it? One of the key requirements of the SFP program is that sellers must use Amazon’s Buy Shipping to fulfill their orders. Buy Shipping enables sellers to buy shipping labels individually or in bulk, ship and confirm orders, and track shipments. It can be accessed through Seller Central or by using third-party shipping tools which have added support for it. There’s also an API which can be used to integrate Buy Shipping into your own software systems. What is Seller Fulfilled Prime Small and Light? SFP Small and Light is a variation for items under $15, to help sellers of lower-value products use SFP economically. Curiously, considering the program’s name, there are no size or weight restrictions for SFP Small and Light, unlike the FBA Small and Light program. SFP Small and Light gives sellers different shipping options for items of $15 and under, that would otherwise be too costly to ship for free. Is Seller Fulfilled Prime really worth it? When sellers talk about SFP, you’ll hear comments complaining about the many different things that the program requires. But the biggest complaint is often that sellers have to absorb the cost of shipping. But having to provide free shipping is not really a valid complaint about SFP. The whole point of SFP is to get products into Prime, so the comparison should be with the only other option for getting the Prime badge: FBA. With FBA, you also have to absorb the cost of shipping, but indirectly via FBA fees. Having the Prime badge on your offers has the potential to dramatically increase sales. It’s not guaranteed, but it is certainly possible. As a simple illustration, would you rather sell 10 items per month at $10 profit each, or 100 items per month at $7 profit each? Businesses can only increase profit so much by controlling costs. Selling in higher volumes is the real game-changer. Of course, if Seller Fulfilled Prime does not increase sales at all for you then it really is not worth doing. Higher sales are the only good reason for using SFP instead of your own standard shipping. The requirements for getting into and staying in the SFP program are strict, but that’s Amazon for you. They are always pushing sellers to do more, and they don’t hand out the Prime badge lightly. If your shipping operation is not well designed and highly efficient then it might be best to concentrate on improving that, or outsourcing fulfillment entirely, before considering Seller Fulfilled Prime. To sum up, if you’re new to Amazon selling or aren’t already running your own shipping operation, joining the SFP program is probably too big a leap to take. However, if you are already doing a good job of shipping, and your products aren’t right for FBA (for whatever reason), having the shiny Prime badge attached can mean more sales, simple inventory management and reduced customer service. There’s a lot to gain. This is a completely new version of a post originally published in September 2016. Does entering into the seller fulfilled Prime option does it also give you better rates on shipping? from Miami to Cali regular ground shipping a 31 lb box would cost us $30 and take 4-5 days. For 2 day Prime shipping on our account this box would cost us $160 which is nearly double the price of the merchandise inside the box. Does entering into the Prime system do we also receive the same shipping rates that Amazon would pay. Getting the bulk discount that Amazon receives from carriers would be the only way I could ever see this working for us, and other companies in the same situation. Thanks for a great article and for all the great info! No, you don’t get better rates from AZ after qualifying for SFP. I qualified for a couple of months they want you to ship 2 day in your dedicated regions that you pick. I sold a lot more products but it wasn’t feasible they wanted me to ship UPS ground on small items under 13oz. No special pricing was giving it was costing $10 to ship a $5 product i dropped out its not worth it to me. Andy, thanks for the help that’s a great video. I will sign up for that option!